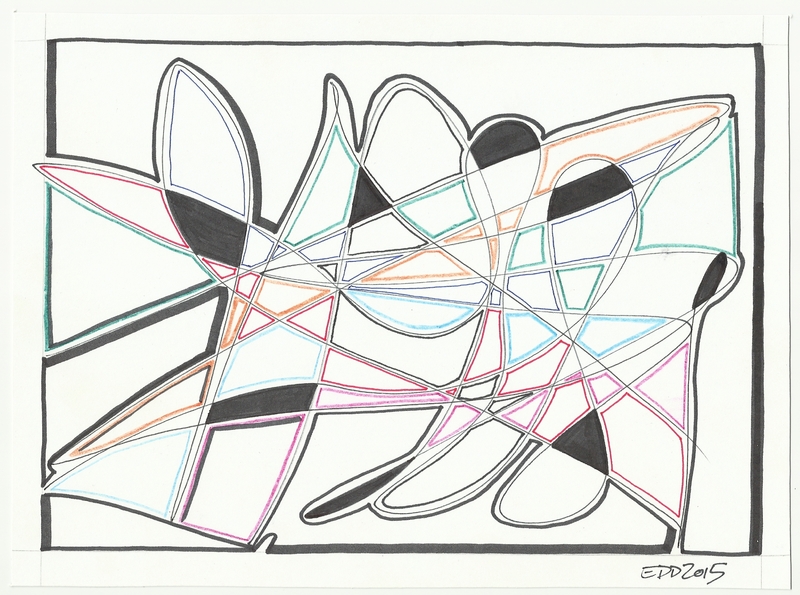 So this piece is the result of taking a random marker drawing of crisscrossing lines and filling the void spaces with other shapes and colors. It’s cool! Gives me a feeling of musical notes!